When ten strangers agree to an interview for the same lucrative job offer, they find themselves locked in an underground complex to take part in a psychological experiment for seven days. The group soon discovers that the pay is too good to be true when the horrifying specifics of the game are unveiled. Trust each other, kill, or be killed. The world watches while the contestants fight for their life in a sick and twisted survival of the fittest. Big Brother meets Battle Royale in this gripping game of survival, from the acclaimed director Hideo Nakata, he of Ringu, Chaos and Dark Water. Based on the best selling novel The Incite House – 7 Day Death Game, this psychological thriller meets horror shows the terrible lengths that humans will go to to survive. Reviews of the film are hard to come by at the moment, but BeyondHollywood.com assured us that "Whilst perhaps inevitably not up to standards of Ringu, the film is certainly one of his better recent outings, and confirms that he is still very much a genre director worth watching." 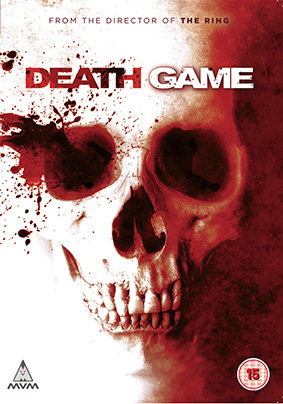 Death Game (7-kakan no desu gêmu, aka The Incite Mill) will be released on UK DVD on 4th March 2013 by MVM.